Stef the singer for the City of The Weak joins be for her second appearance on the TRS podcast. This time on Revelator 241 Stef and I talk about her bands long hard road to completing their new album set for summer 2018. 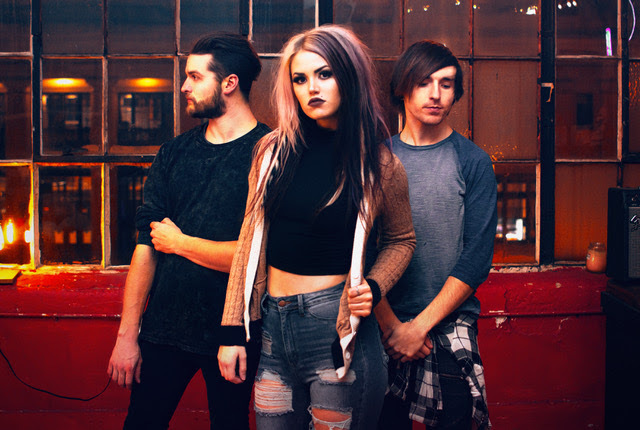 We also talk about touring, writing music, working day jobs and shots of Jager with the Butcher Babies. City of The Weak in the mean time decided to take on a really challenging cover song, the band selected Incubus’s “Pardon Me”. Stef talks about why she and the band selected this song and the elimination process. City of The Weak are hitting the road again this spring on the Turn it To 11 Tour that include a spot at this year’s Rocklahoma. As I continue to dig deep into the Revelator catalog lets step back three years to TRS episode #104 and talk about the Austin, Texas based band Seek Irony and their innovative album Tech & Roll. The band is still touring and playing shows. On this episode you’ll hear a cut from their full length debut album “Tech & Roll”. Let’s take a moment to discover the “Devil In Me”.